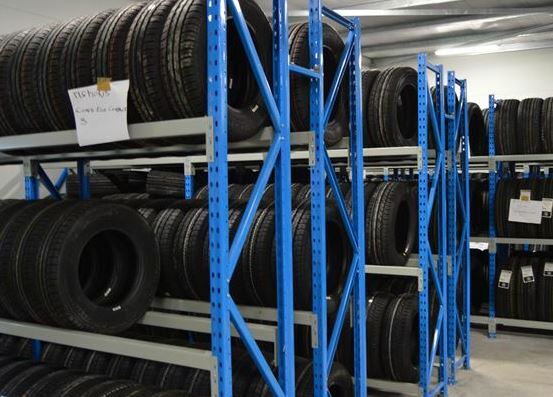 Continental, tyre manufacturer and automotive supplier, has announced that it is expanding its ContiPartner retail concept in West Africa. Continental currently distributes passenger and commercial vehicle tyres into Ghana and will officially re-launch the ContiPartner concept though one of their selected partners, Rainbow Motor Workshop and Engineering. The Rainbow Motor's owned ContiPartner store in Graphic Road has received a facelift through new branding and product ranges and Continental explains that it aims to use this store to showcase what the company has to offer within its partnership programme. "The synergy we have with our ContiParnter stores is a win-win for our brand and the partners involved", explains Johann Liebenberg, Market Manager Continental Tire West Africa - Passenger and Light Truck Tyres Replacement. To launch this initiative a delegation of Continental Tyre executives including Managing Director for Sub Saharan Africa, Shaun Uys and General Manager Marketing and Sales Ian Langlands, are here to support the initiative and meet with some of the industry leaders and customers. "Continental is setting new benchmarks in the premium tyre segment, responding to tougher requirements and specifically targeting different areas of application with new passenger and commercial vehicle tyre families. Continental understands the needs of our customers and we pride ourselves on having a product offering to meet those needs," says Ian Langlands, General Sales Manager of Continental Tyre South Africa. Having shown its commitment to the market through the establishment of its legal entity this past April, Continental Tyre is confident that the market holds great potential. "We believe that the next logical step is for us to grow our strategic partnerships through our ContiPartner network which allows us to build relationships with stakeholders and also have a better understanding of the market environment," stated Langlands. Continental understands the needs of their customers and has a product offering to meet those needs. "German engineering is our heritage with customer focused technologies at our core. As a responsible, leading company and trusted partner, we are dedicated to meeting our customer's needs and exceeding their expectations. We are excited to able to use this platform to showcase our expertise and build relationships in the market," says Shaun Uys, Managing Director of Continental Tyre Sub Saharan Africa.